The road transport ministry has started the process to bring manufacturing of all motorcycle helmets under the mandatory regime to get BIS certification. This will mean the sale of non-standard helmets will become an offense. “We will complete this process soon. This will end the menace of low-quality helmets being sold in the market. The new helmets will also specify that these are meant for two-wheeler riders,” a transport ministry official said. From January 15, 2019, helmets will be lighter by 300 gm and will be airier. 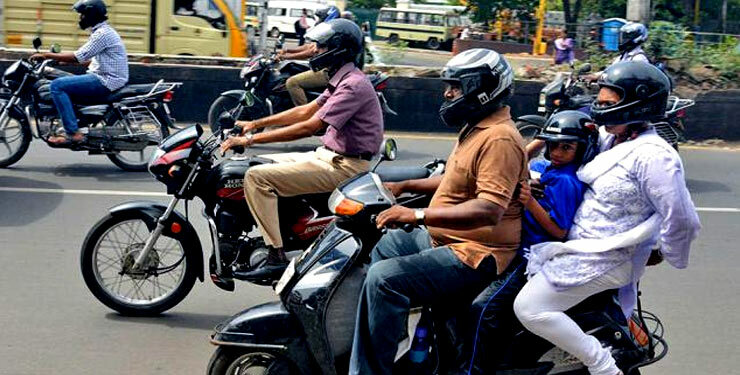 The Bureau of Indian Standards (BIS) has amended the cap on the maximum weight of helmets for bikers to 1.2 kg instead of the present 1.5 kg, which every manufacturer will have to comply with. The new norms of lighter helmets and mandatory provision for ventilation holes in the headgear have been made considering the reasons why bike riders don’t prefer wearing them. Sources Suggest More than 15,000 people died in road accidents in 2017 due to non-wearing of helmets. Road safety experts said it was still under-reported in India where 70% vehicles were two-wheelers and at least one-third of the people killed were two-wheeler riders. BIS officials said the new norms will protect the skull and head. “That is the reason why we have not assigned any standard for cap like helmet as done by Vietnam and Thailand,” said an official.